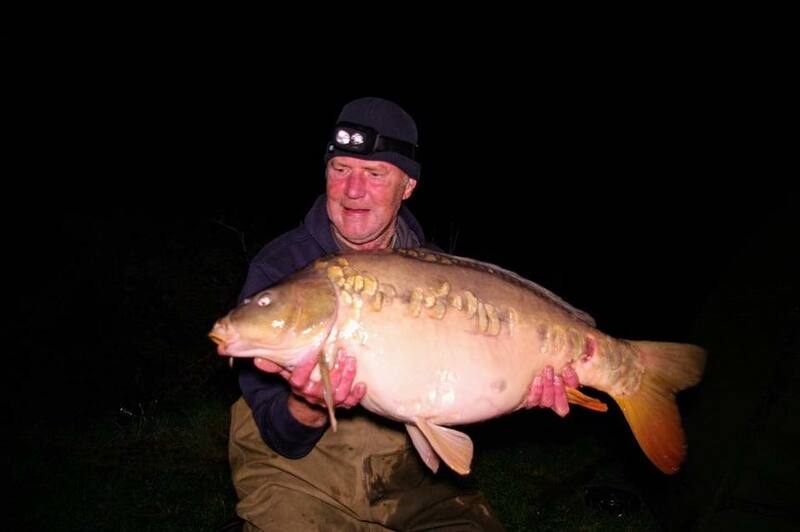 Andrew Godfrey who has had a couple of cracking fish from Upper Tamar having not visited before until recently. 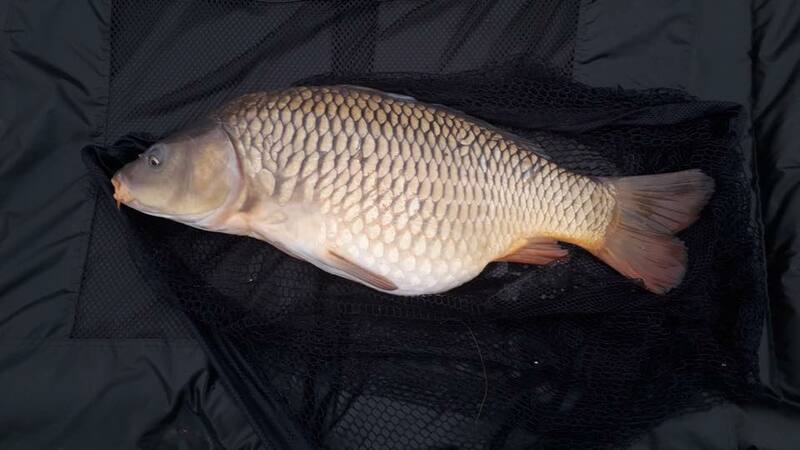 This mirror of 23lb 8oz and common of 18lb 8oz were a great start!! 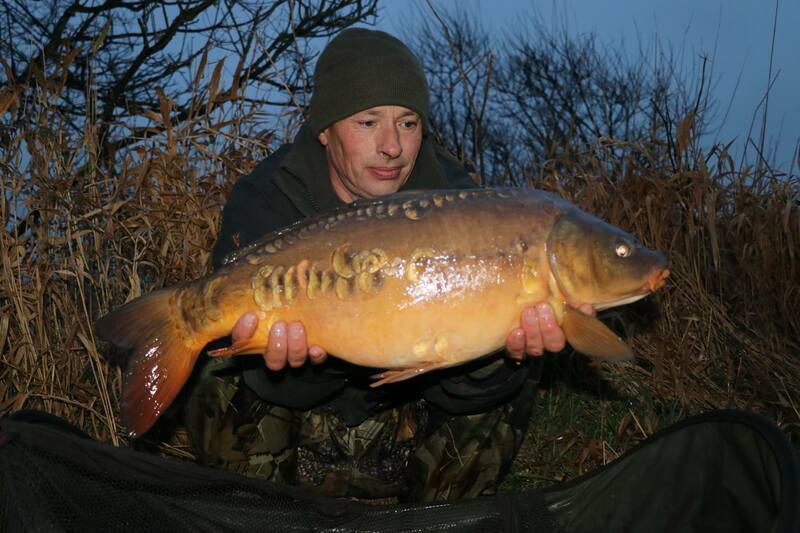 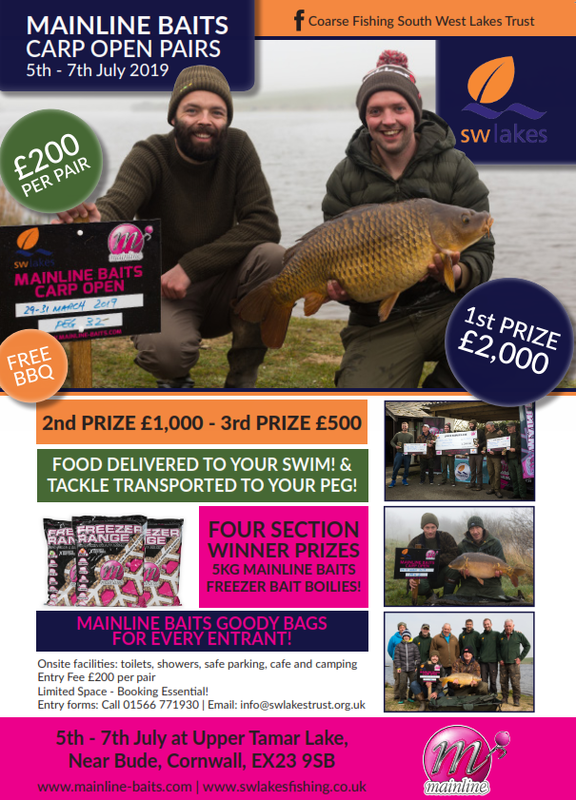 Spaces are filling fast for our next Mainline Baits Carp Open! 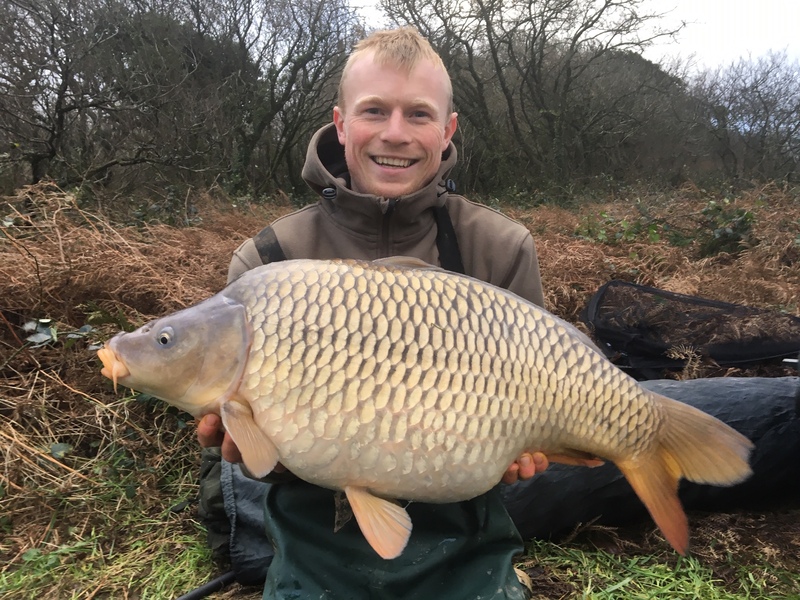 Our first Mainline Baits Carp open at Upper Tamar lake was a resounding success. 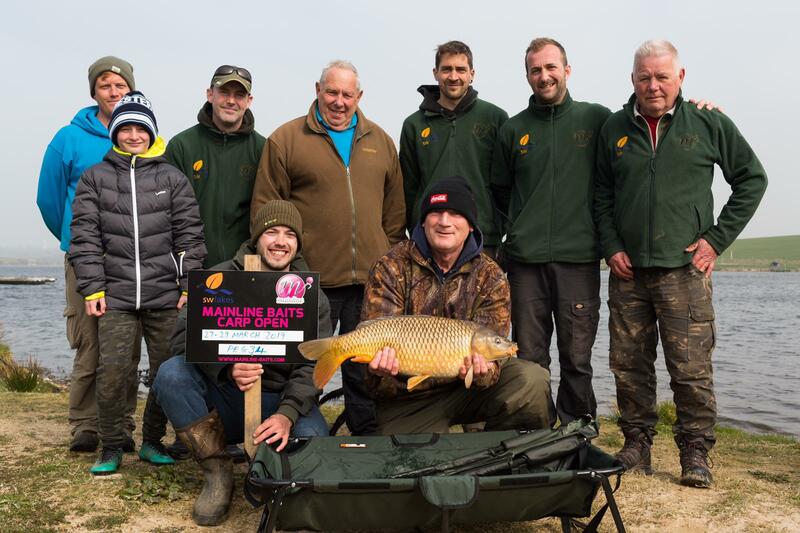 The fishing was extremely tough but made for a really close competition which every pair of anglers could have won right up until the end! 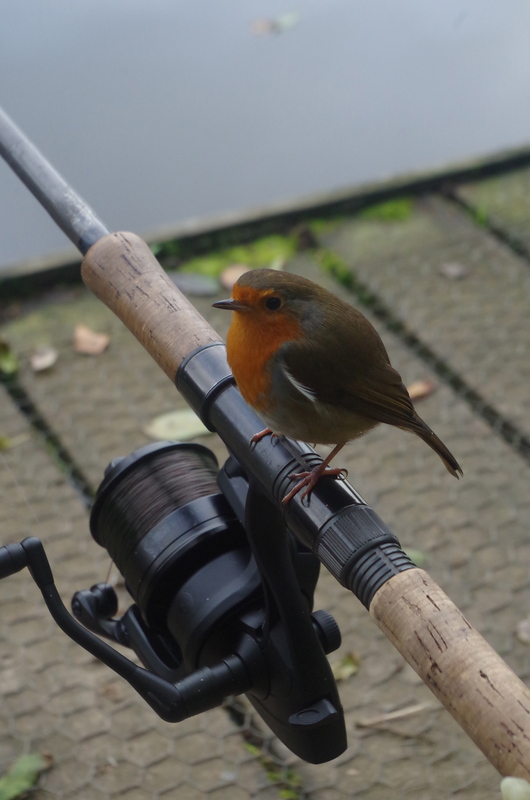 33 pairs made the trip and the draw took place at 1pm with anglers choosing their swims in order. 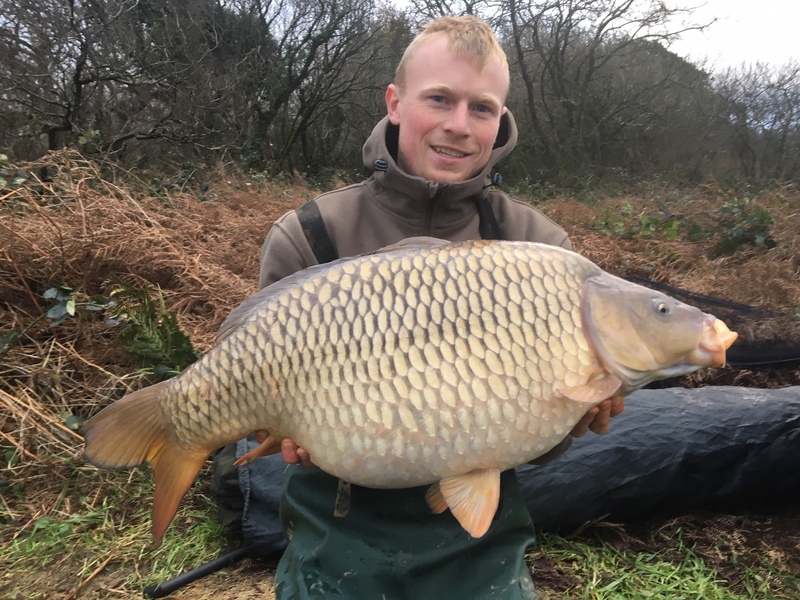 They also collected a Mainline Baits goody bag filled with some of their fantastic innovative products and a free 24 hour permit for Lower Tamar to use at their leisure. 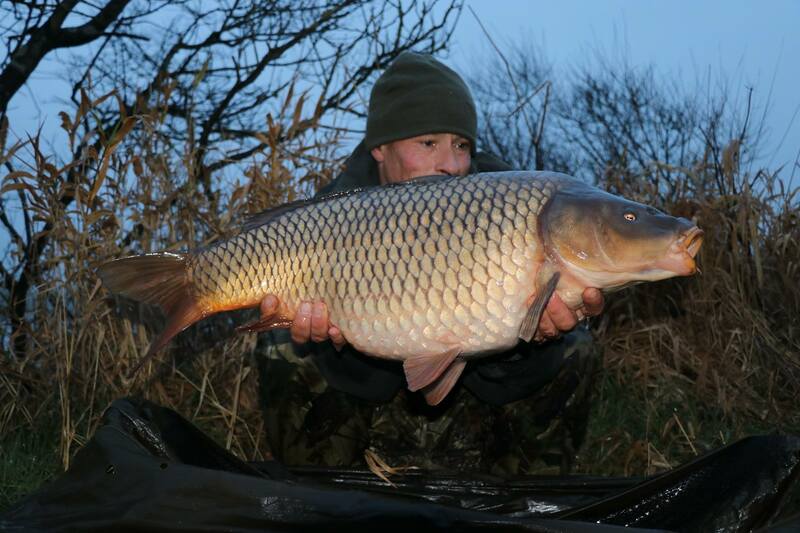 The fishing was really hard, only 9 carp caught between everyone but this was great as a competition! 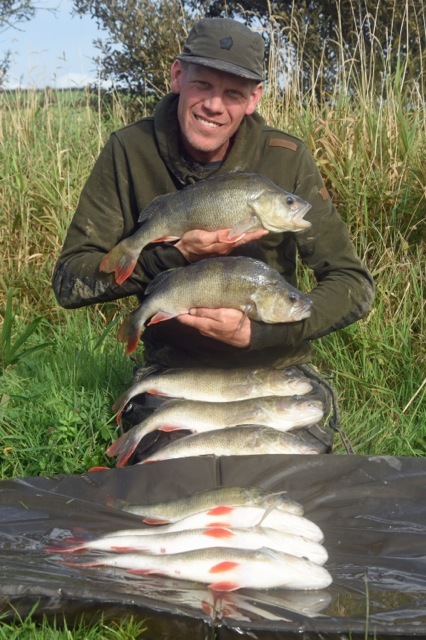 The lake had been fishing so well leading up to the competition with fish to over 25lbs being caught regularly. 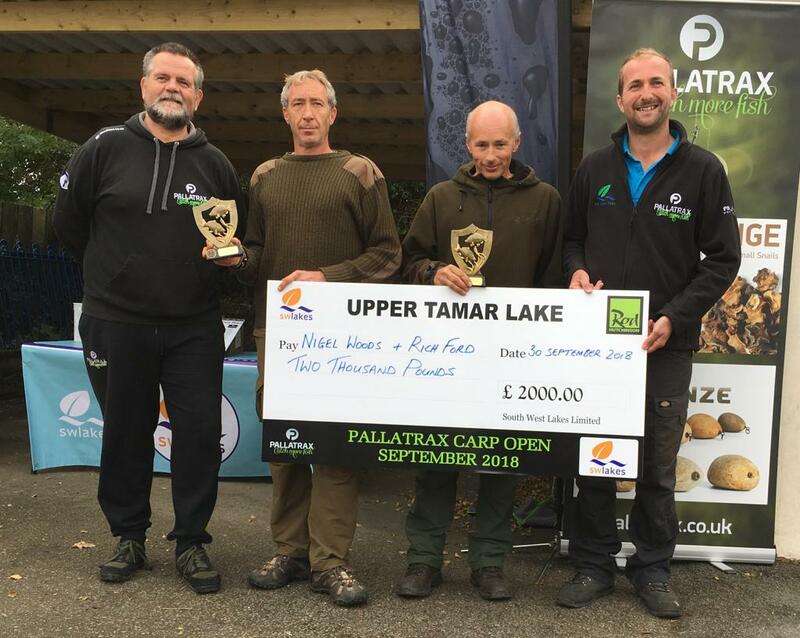 The pressure of the competition and weather conditions really made it difficult for the anglers. 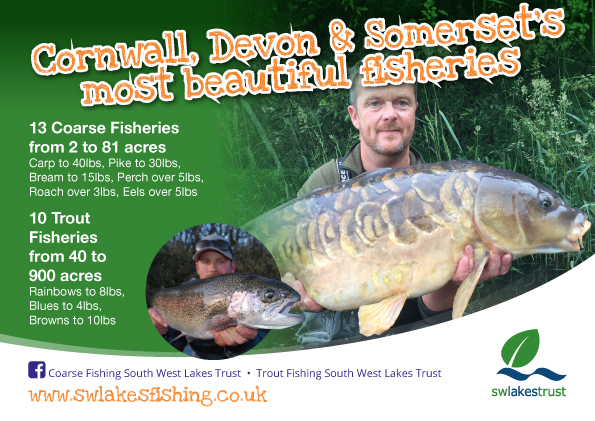 The winners were Dean and Dave Willoughby from Barnstaple. 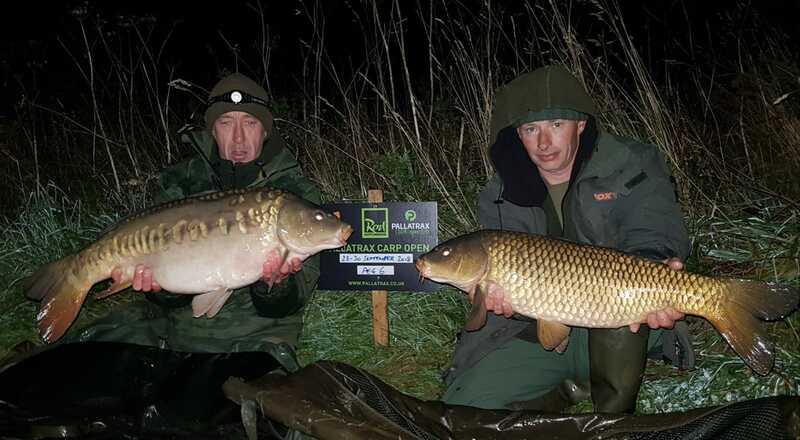 They banked a cracking 24lb 6oz common from peg 32 to take the £2000 top prize. 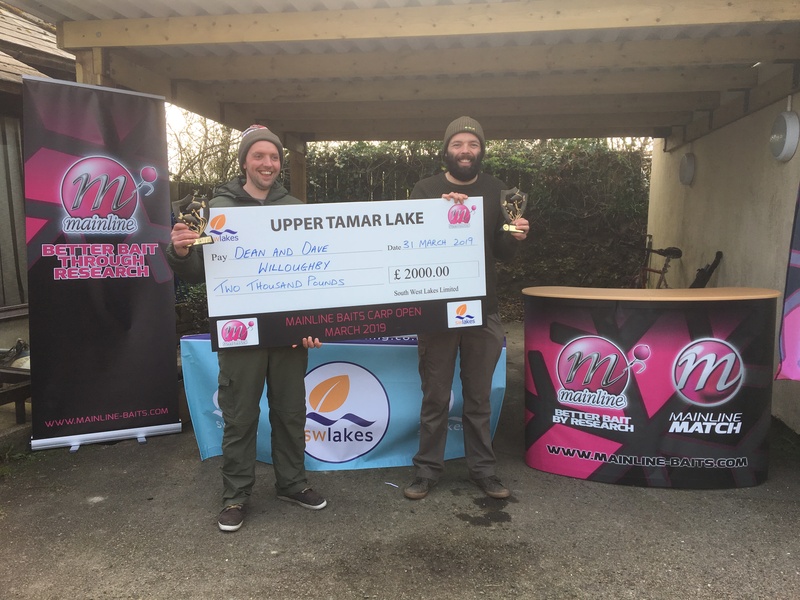 Runners up were Karl Yates and Allan Jones from Bude who managed 2 fish for 22lb 15oz and they collected £1000. 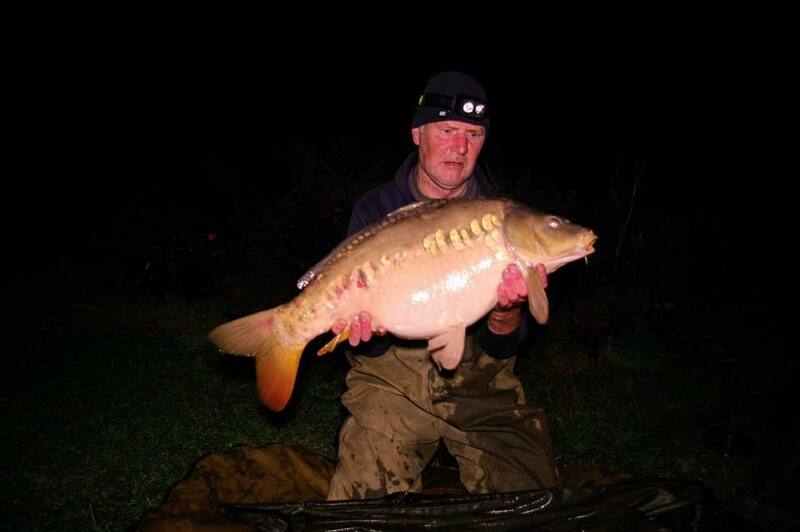 Third place finishers were Rich Ford and Nigel Woods from Launceston who had a cracking 21lb 10oz mirror. 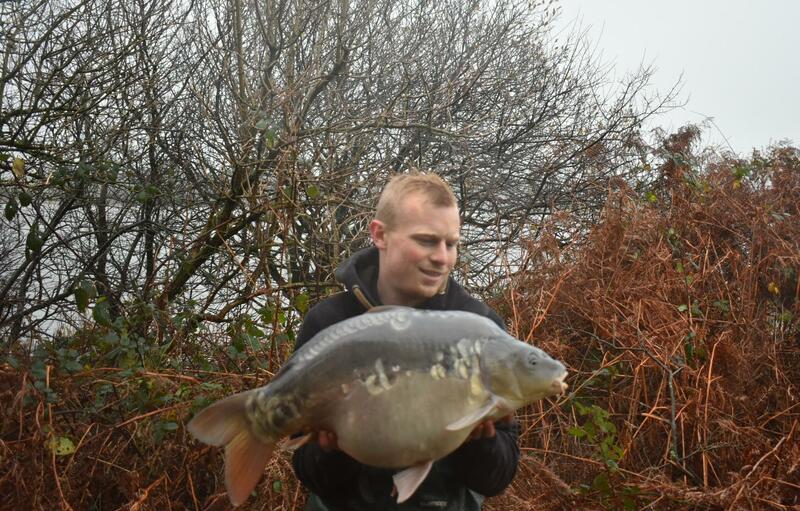 Ray Philpott banked this cracking 23lb 2oz mirror from Upper Tamar Lake this week from the Lookout Tower. 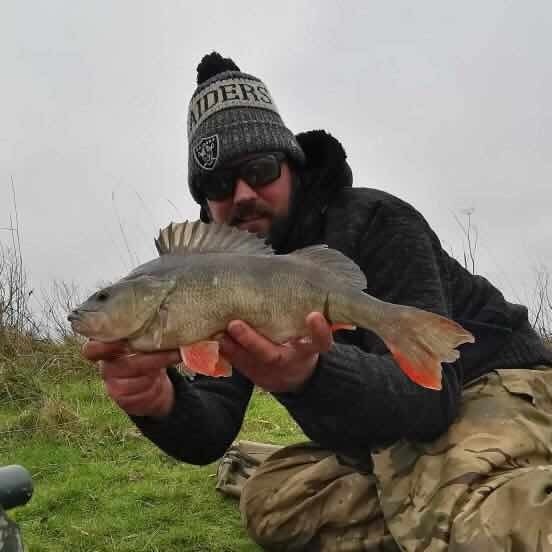 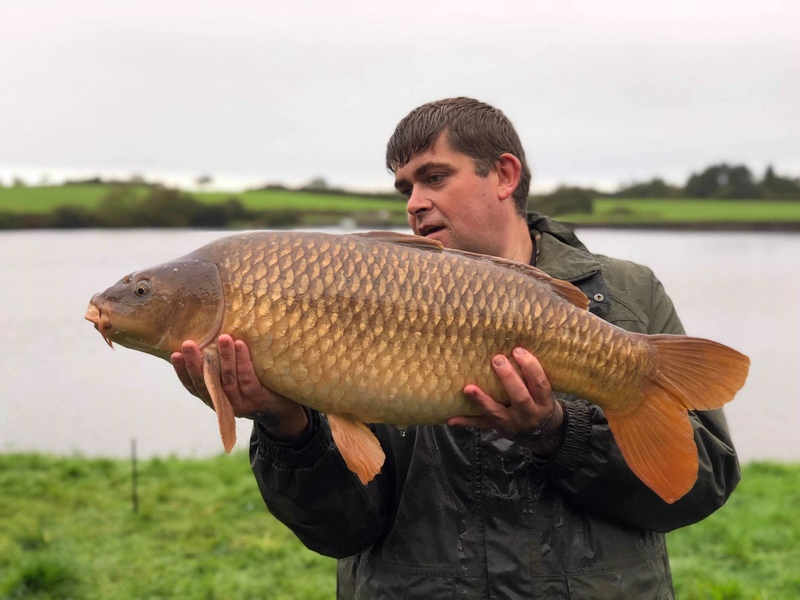 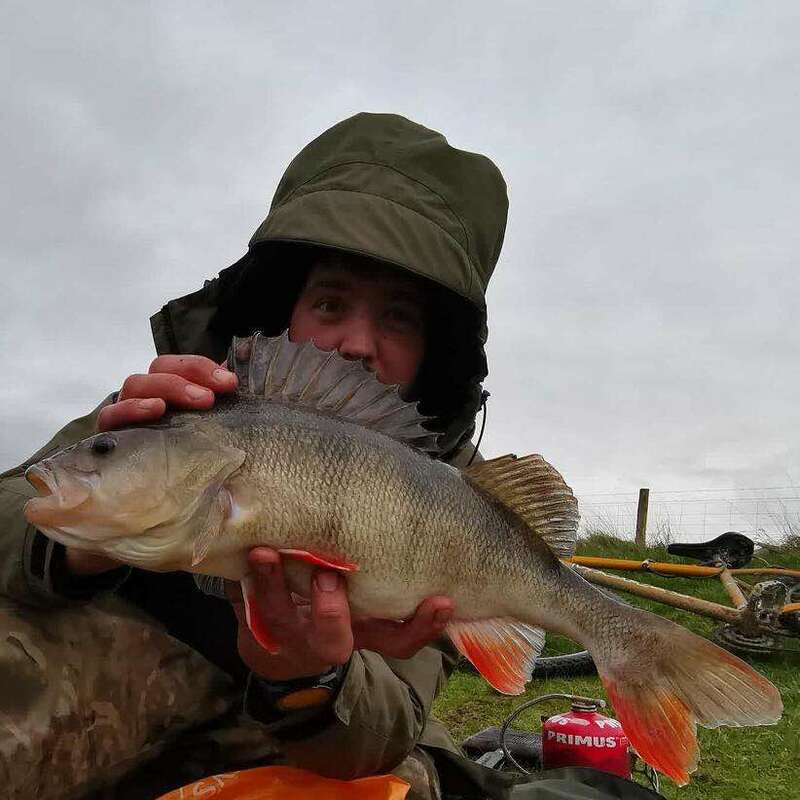 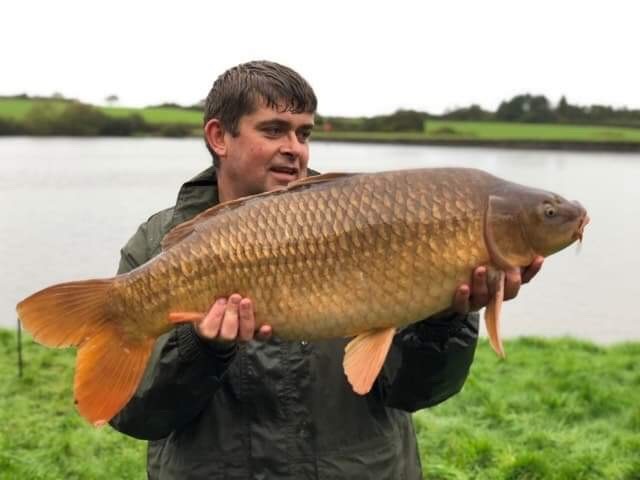 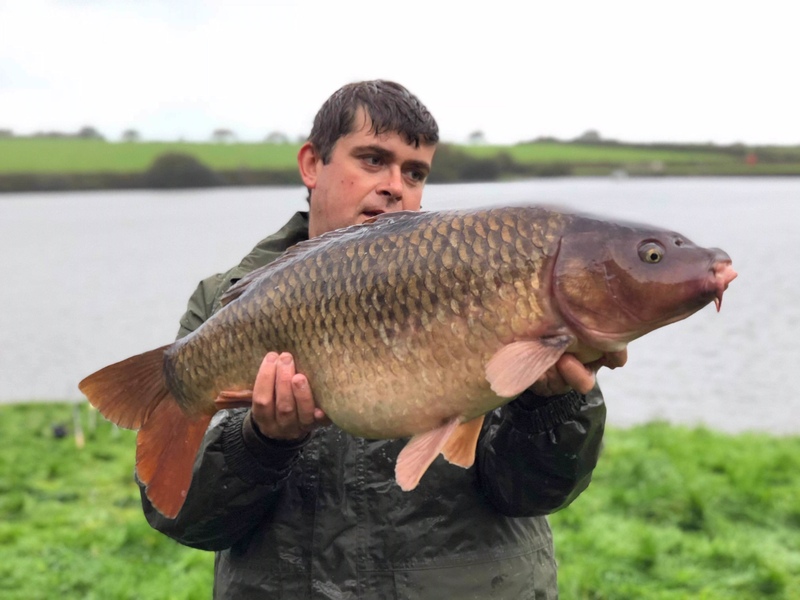 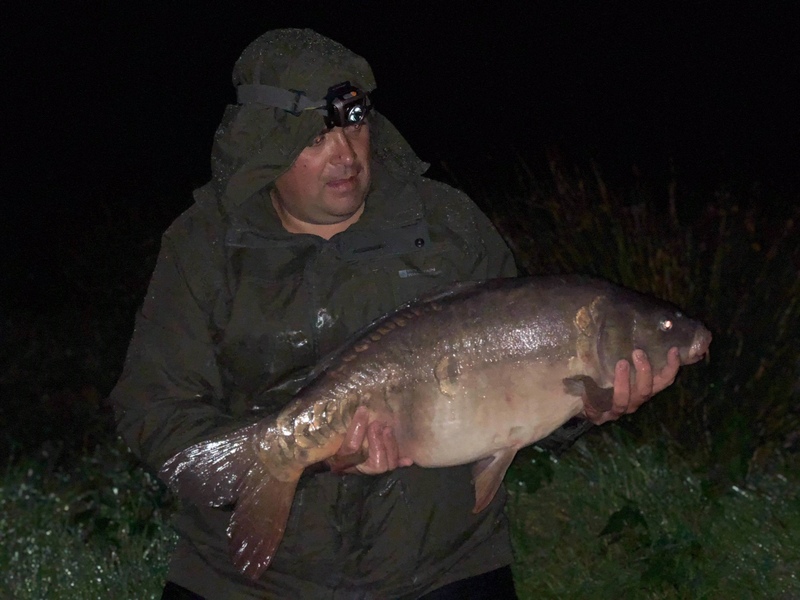 (Below)Ashley Bunning had four carp this weekend from Upper Tamar Lake on the Cornwall and Devon border all caught on Nash Scopex Squid Fluoro pop up boilies over a bed of 18mm freebies. 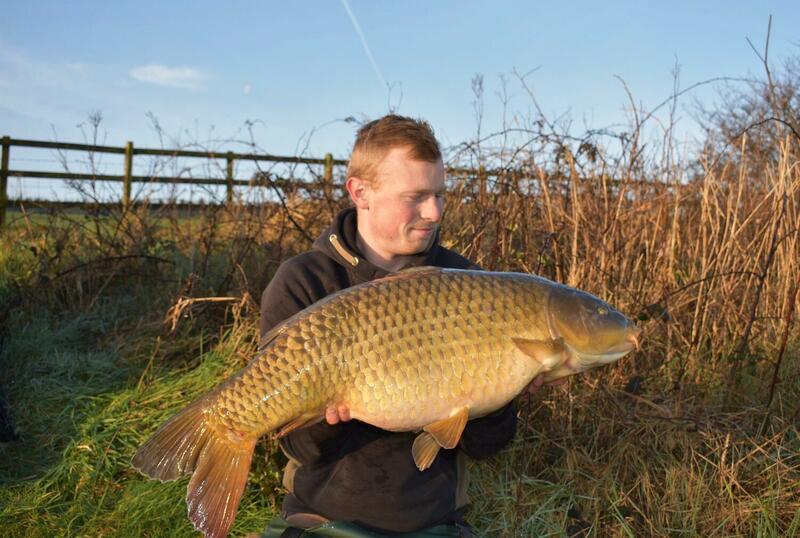 The largest being 19lb 2oz and the rest mid doubles. 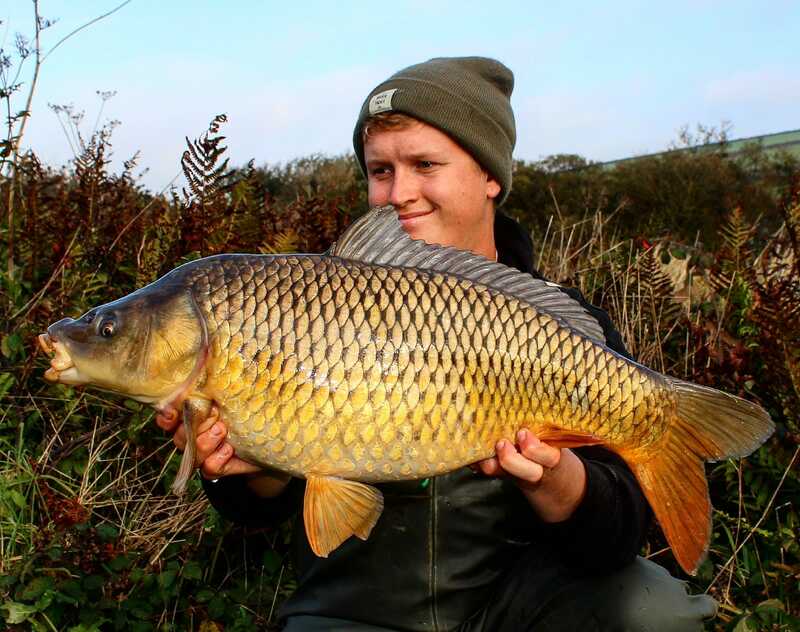 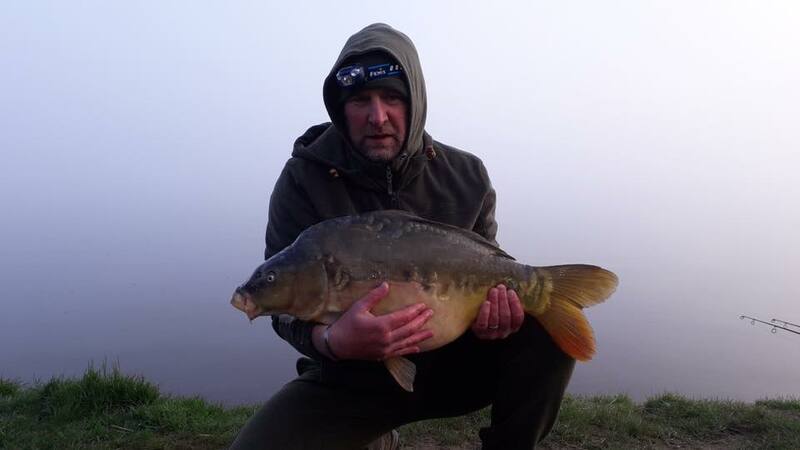 (Below) Lee Watts from Bideford had a cracking first session on Melbury Reservoir in North Devon landing 3 carp. 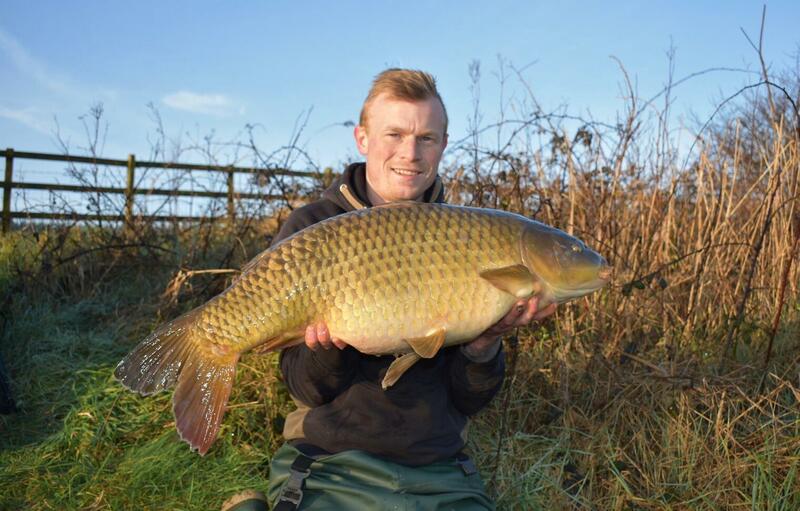 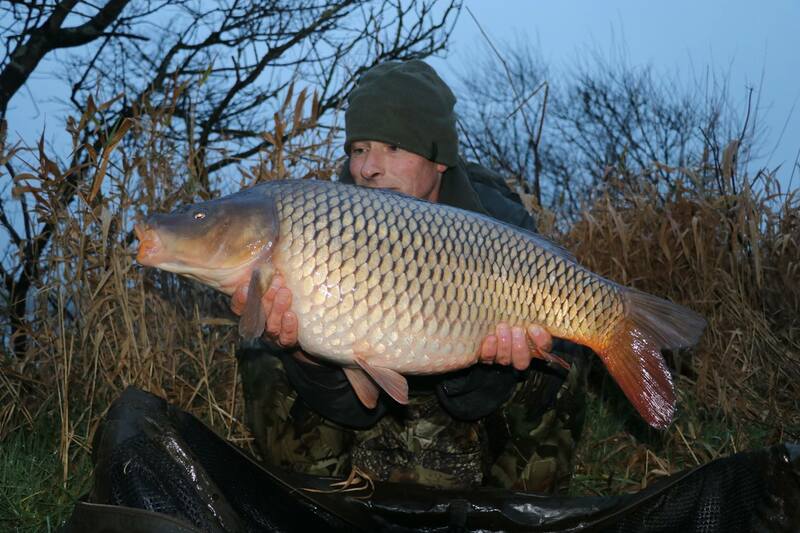 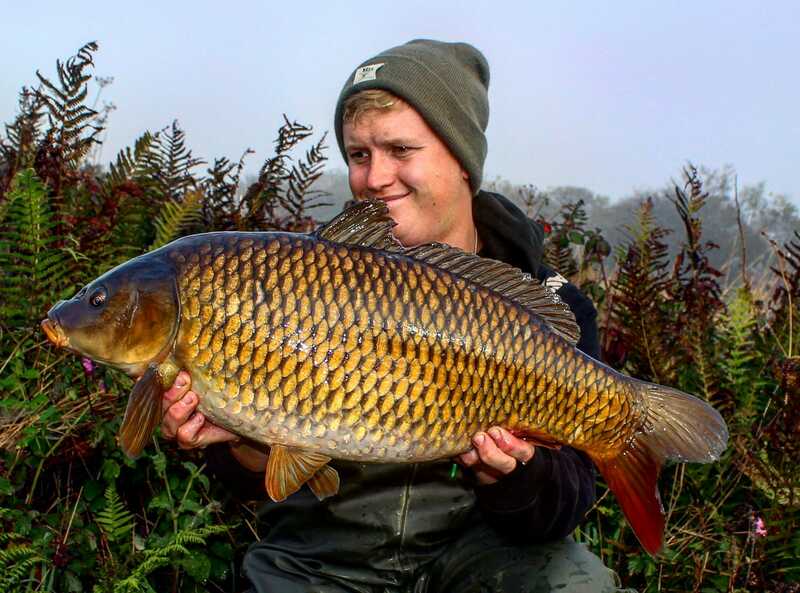 The largest was a common of 24lb backed up with another common of 21lb and a mirror of 19lb 15oz. 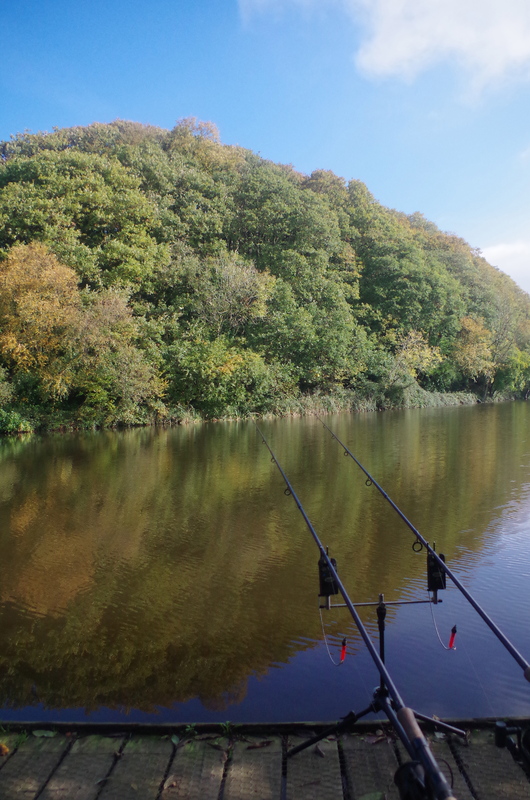 (Below) I enjoyed a fish-less session at Jennetts Reservoir at the weekend but still enjoyed being at the waters edge. 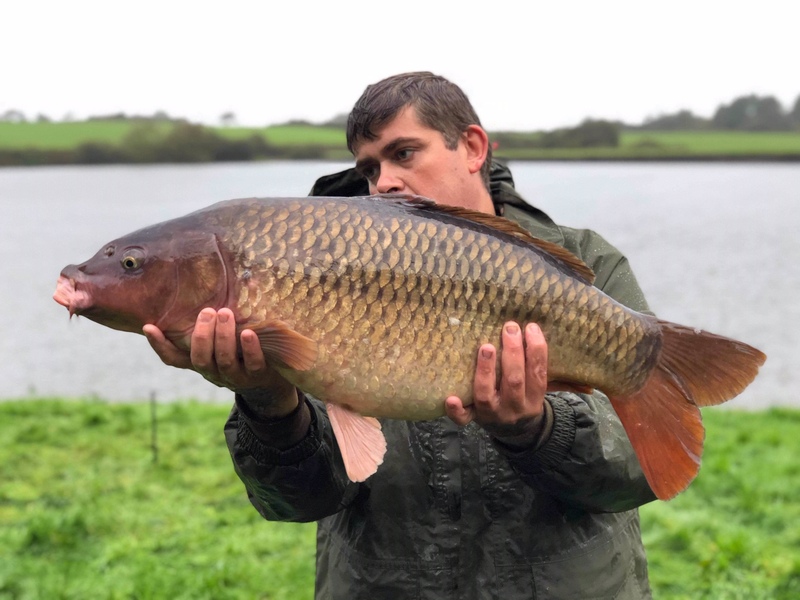 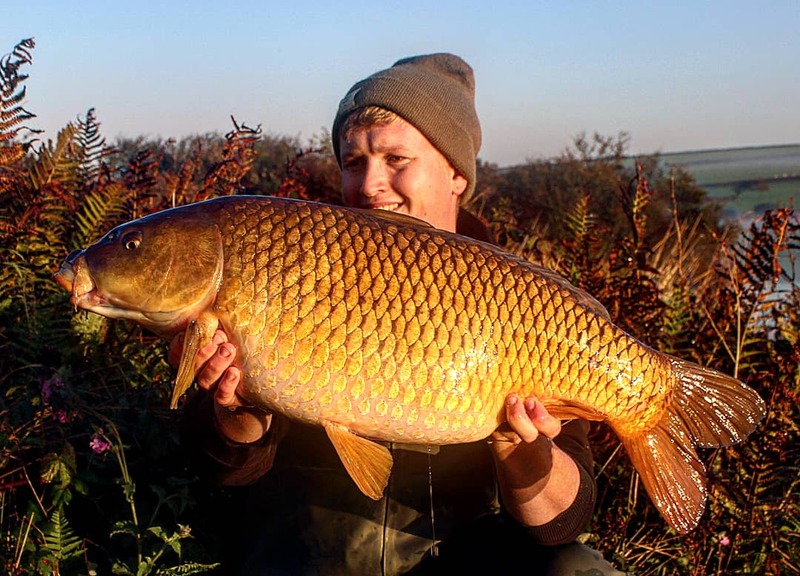 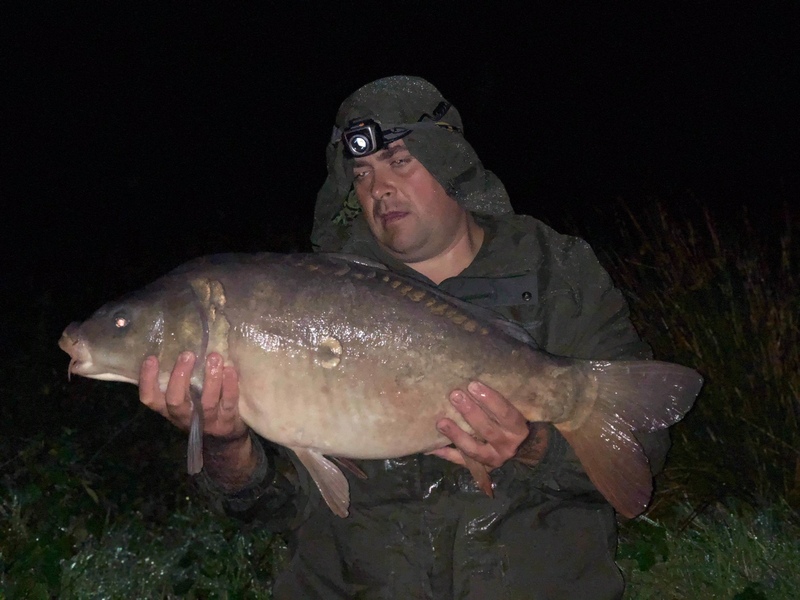 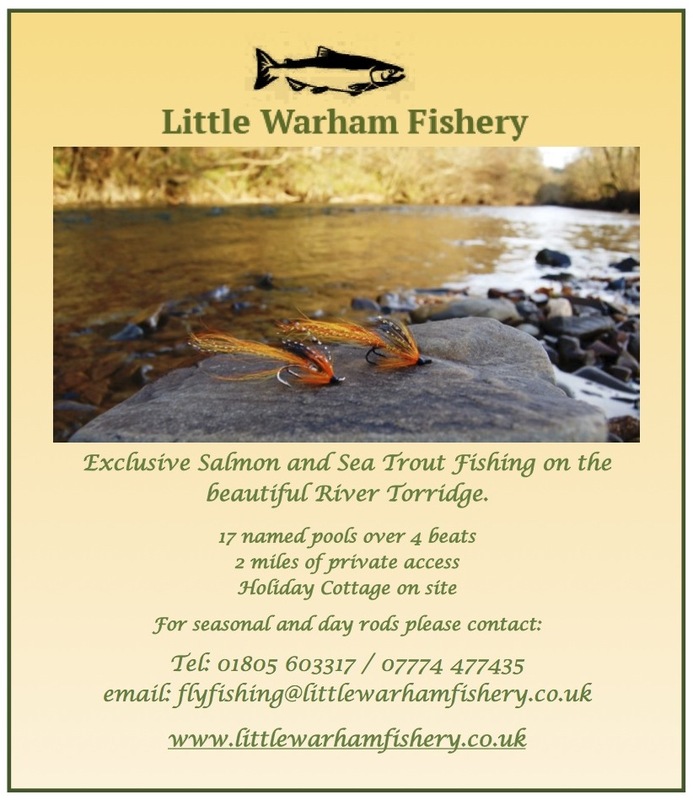 The above waters along with Jennetts and Lower Slade all offer quality carp in beautiful surroundings and offer a different experience to some of the more heavily stocked commercial waters.